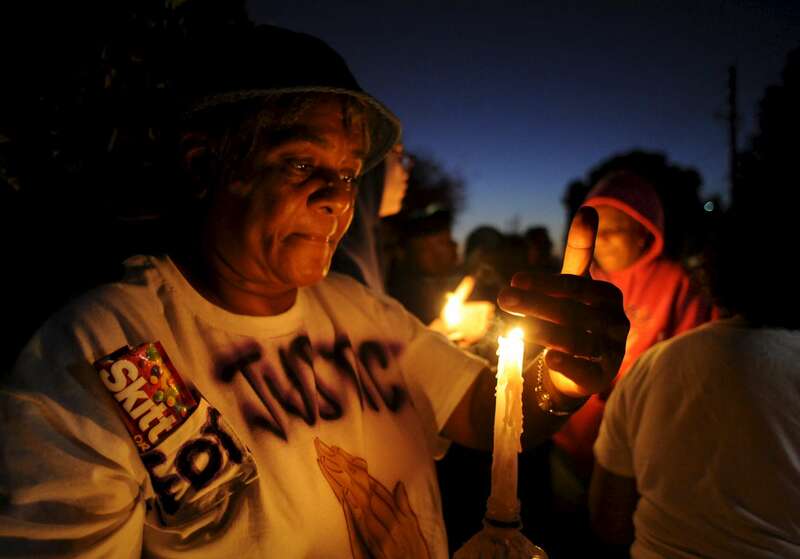 Gwen Lawrence, of Sanford, Florida, mourns during a candlelight vigil for Trayvon Martin in Sanford, Fla., on Sunday, March 25, 2012. Martin, 17, was shot dead on February 26th after George Zimmerman, 28, a neighborhood watch captain, believed the young man walking through the gated community in a hoodie looked suspicious. Zimmerman followed him and an altercation ensued. Zimmerman has said he was acting in self-defense. He has not been arrested, though state and federal authorities are investigating.